We live in interesting times. Democracy is breaking out where we never thought it could in a popular movement akin to the falling of the wall in Berlin. Amid much rejoicing from all reasonable people in the world the Israeli government has said that it isn’t happy. Even the Israeli Prime Minister Benjamin Netanyahu has spoken out. He says “What could develop and which has developed already in several countries, including Iran – repressive regimes of radical Islam”. When everyone can see that this is not what the Egyptians are trying to achieve. The thing is that Israel is hardly democratic itself because of a deeply flawed electoral system. In fact the Israeli electoral system is probably the main obstacle to peace in the Middle East. Anyone who has been to Israel knows that the vast majority of the people there are fairly relaxed liberals, just like in the West, but with a small sprinkling of utter extremist religious nutters. Yet it is these nutters who hold all the power, the tail wags the dog. Israel has the stupid proportional representation system, you vote for a political party, not for a candidate. Then each party has a list and as they get more votes so more people from their list get into the Knesset. But Israel has a very low threshold of just 2% of votes before a party’s candidates are successful. So it is very, very easy to set up a political party and get a candidate into the Knesset, which means that there are lots and lots of political parties. There is one for pensioners and one to legalise marijuana for instance. Now all this would be faintly funny if it weren’t for the stupidities of religion and the extremist nutter Jewish religious parties that exist in Israel. Their views are so extreme that in Britain people espousing them would possibly end up in prison under our diversity laws. And when it comes to elections these nutters have a secret weapon, because in Israel election day is a national holiday. This means that all the normal, reasonable, liberal people go to the beach for the day and only vote if they get round to it. But the nutters get 100% turnout, as you would expect from extremist zealots. There are plenty of jokes about this in Israel along the lines of the nutters even getting their dead to vote. So the combination of proportional representation and voting discipline guarantees that several of these nutters get elected in every election. Then comes the second stupidity of proportional representation, the need to form a coalition government. In Israel the successful candidates are so politically fragmented, from different parties, that this is close to impossible. Which means that the extremist nutters end up in virtually every government, even though they only have a few Knesset members. And in government they often end up in cabinet positions as their price for support. This totally undemocratic system means that a very small sector of Israeli society wields enormous power. 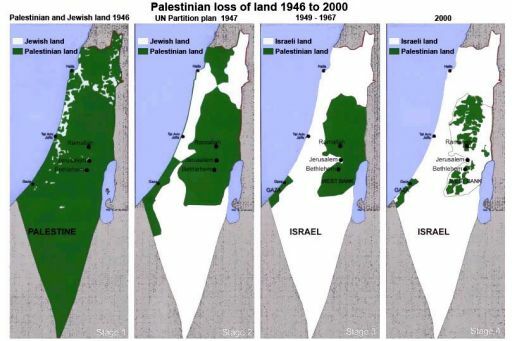 It is they that refuse to countenance any reasonable settlement with the Palestinians or with Israel’s neighbours. And this whole edifice is propped up by America, but that is a different story. Isn’t it wonderfully ironic that Netanyahu is worrying about hypothetical Egyptian religious nutters when the biggest problem is his own real religious nutters? “totally undemocratic” you say. Would be interested to know which countries in the Middle East you think are more democratic than Israel. Egypt? Jordan? Saudi Arabia? Bahrain? Hi Bruce, thanks for the post, helps one to appreciate as many shades of opinion regarding how Israel is perceived. However, I believe that whatever the means of election or selection, a nation gets the political leadership relevant at specific times in its history. I would like to have your candid opinion about Palestinians insisting on building the State of Palestine on the ashes of Israel. And by the way, Netanyahu has never, ever opposed the two-State solution; it is Hamas that has.